Hi everyone...thanks for admitting me to this excellent Forum.Some great stuff on here. 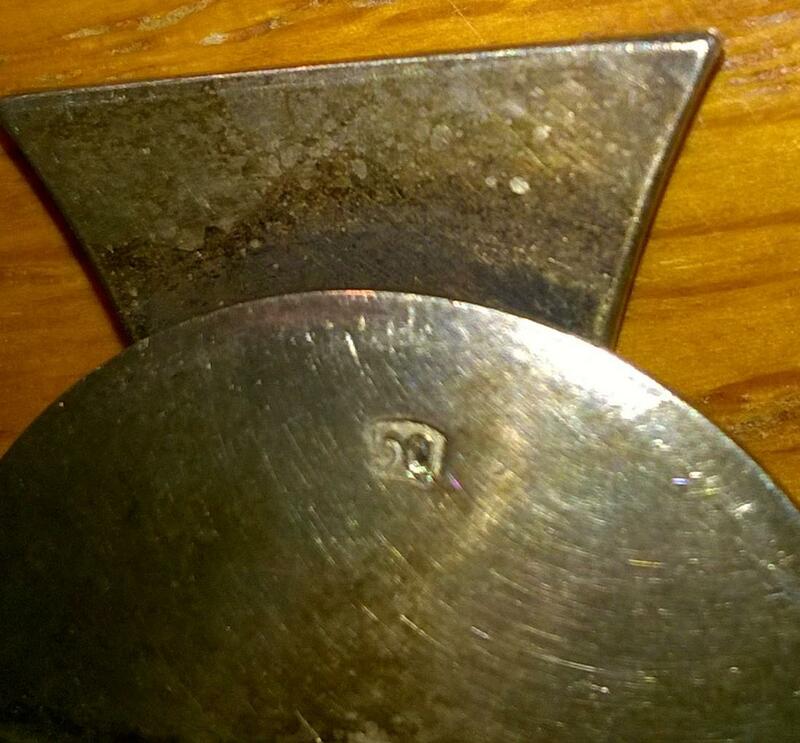 For my first post I would like to solicit opinion on the item shown in these pictures.I can find only one mark on it..A "50" stamped on to the retaining disc on the reverse. Fake EK1 and a fake spange. Man, that didn’t go very well! First of all bigal, welcome to the forum. Despite the sometimes brutal honesty, this is just about the friendliest forum on the web for collectors. There are many, many posts that will help you in choosing which things to buy, and which things to be leery of. I’ve read somewhere on this site that a one piece item such as yours is a dead give-away. There are other things as well to watch out for. In time, you’ll gain quite an education around this place, even if it’s by accident. At any rate, don’t be put off by one questionable purchase. Every person on this site has made them. The trick is not letting them get you down. Again, welcome aboard! Mike. Yes...man of few words that dond! 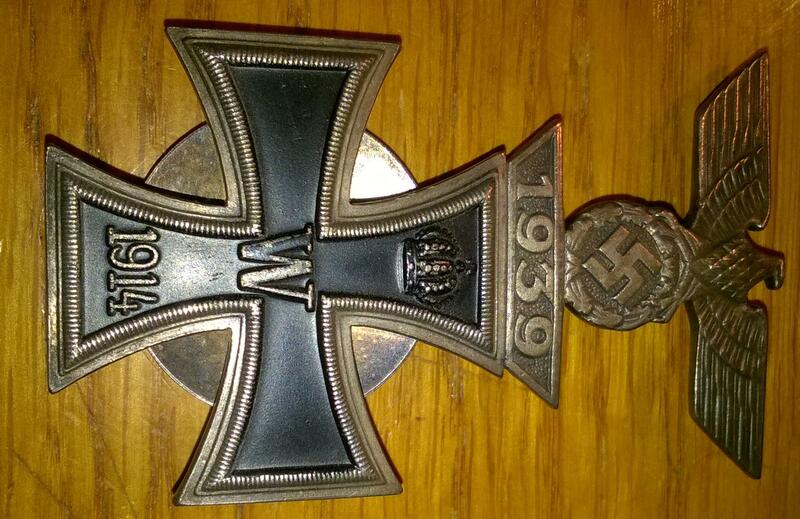 Thanks for the welcome though.In the main I collect German bayonets but have a few German medals,badges etc.I took this as part of an exchange deal but suspected it wasn't right .Nothing gained,nothing lost! Im going to expand my collection but will be looking on here and expanding my knowledge first. The factory made pieces that I know of were made by Juncker and Mayer, and marked l/12 and L/18. 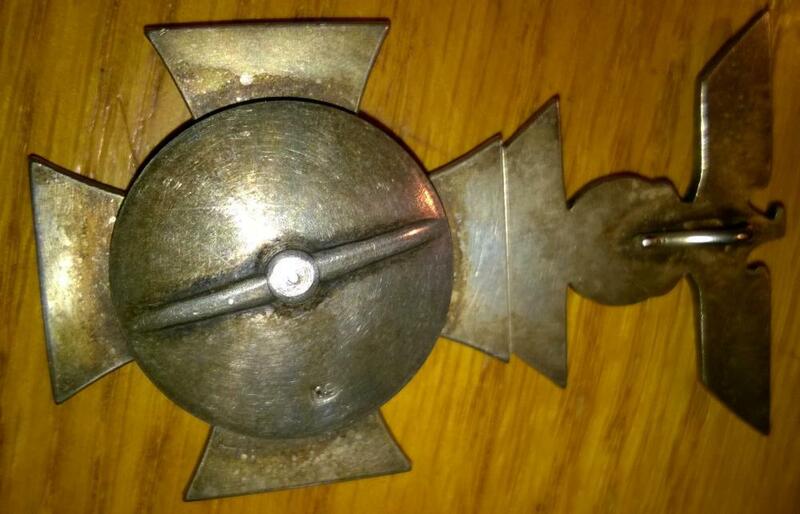 IF a SB cross is marked, it is always with an L/... mark, since these were not awarded but intended for private purchase. And yes, we all get stung, that's part of the hobby.